Solana at The Park is a lively community with opportunities to socialize, learn, experience and simply enjoy life! Independent living at Solana at The Park provides all the benefits of being at home without the burden of household chores like cooking, cleaning and maintenance. This is a lifestyle that facilitates independence as you age and gives you the freedom to pursue your own interests and share life with friends without the worry of maintaining a household. Solana at The Park spacious studio, one, and two bedroom apartments with amenities included. Enjoy your very own chef, driver, activities and event planner, housekeeper, groundskeeper, maintenance team, spacious common areas and an excellent staff to assure everyone is happy and healthy. Retirement living at its best! Included with each apartment you will find a wonderful selection of apartment features and access to our convenient community amenities. 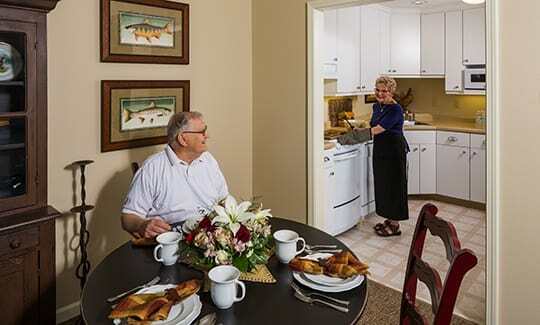 For more information on independent living in North Surprise, contact us to schedule a tour. Let us show you what is waiting at Solana at The Park.